Finding a book suitable for grades six, seven and eight is not easy. The difference between a seventh grader and an eighth grader is dramatic, but the difference between a sixth and an eighth grader is stunning. This year we did our first school wide read, Chew on This by Charles Wilson and Eric Schlosser, based on Mr. Schlosser’s best-selling book Fast Food Nation. Each subject area read several chapters of the book following a loose schedule so all the students in the school were talking about this history of McDonald’s, factory farming, health and soda more or less at the same time. Most of the teachers enjoyed it, too. There were few disgruntled math teachers, but, well….. The English department would like to do it again, so we’re looking for a book. So far a few have gotten close, but no cigar has been awarded. Nine, Ten by Nora Raleigh Baskin has come closest to date. 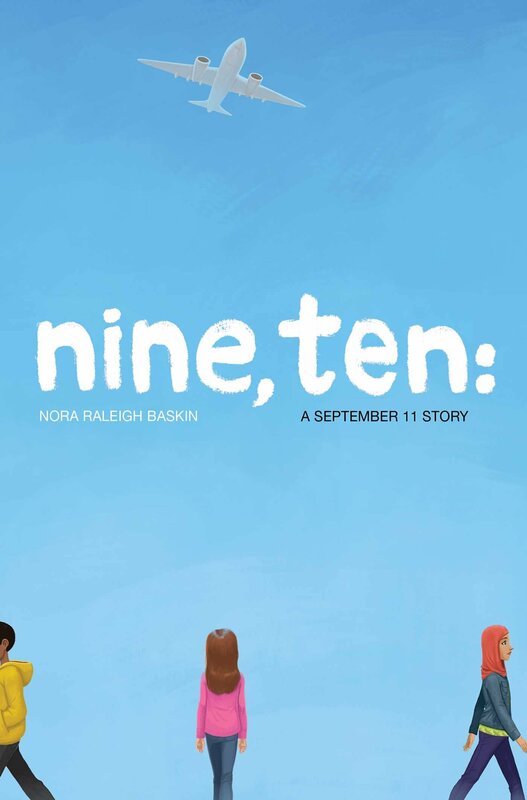 Featuring the story of four different young people in the days leading up to the September 11 attacks, Nine, Ten has an immediate appeal for grades six through eight. Our students were all born after the attacks. They have no memory of them at all. But they are all interested in knowing more about them. For this reason alone, I may end up advocating in favor of Nine, Ten. It’s also a very good little book. We could probably read the entire thing in a couple of weeks of class time, mix it up with some non-fiction accounts etc. 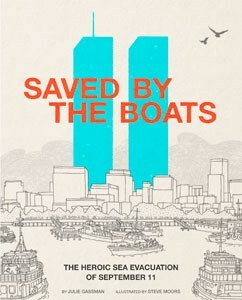 There’s a terrific children’s book called Saved by the Boats by Julie Gassman about the boat rescue of 500,000 plus stranded New Jersey commuters who were stuck in Manhattan that day with no way to get home since all forms of public transit were closed. My colleague who teaches eighth grade has already tested it out with one of her classes. They loved it. I just finished a non-fiction account of the 1900 outbreak of Bubonic Plague that struck San Francisco called Bubonic Panic by Gail Jarrow that I can highly recommend, but it’s the sort of book that often doesn’t get a paperback release due to its size and the number of pictures it contains. And I’m not sure the whole school should go through another round of scientific horror story, which was a pretty common element of Chew on This. I do think the library should get a couple of copies, though. The cover alone will sell the book to middle schoolers. 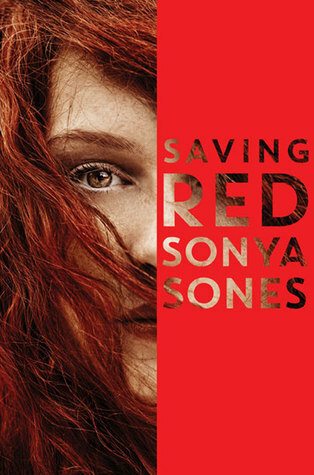 My eighth grade colleague has read Saving Red by Sonya Sones, which came highly recommended. A story told through prose poems, Saving Red is about a girl with a schizophrenic older brother who is trying to help a local homeless woman. Her brother has disappeared. Her family who believes he is living on the streets wants nothing more that to get a call from him just so they can know how he is doing and that he is still alive. The girl in the story believes someone must be out there waiting to hear from Red, so she wants to convince Red to make a call home. My colleague loves the book, but at the halfway mark there is already too much mature content for the sixth grade. So, I will be reading Saving Red, but I won’t be pushing it as the school wide read for next year. So we’re still looking. We have a list of current books we’ll be working through over the next few weeks. I’d like to get a title selected before the end of the year. We’d like something that can work in all subjects, but we’ll settle for something that reaches over to three subjects or even two. Non-fiction is preferred, but not required. I don’t know much about the kind of nonfiction you’re looking for, but your post made me think to ask if you’ve read The True Meaning of Smekday by Adam Rex. It seems relevant for today’s middle schoolers, as it’s about suspicion and undocumented aliens (from another planet). Sounds kind of fun. Thanks. Thanks for the recommendation. We’re stlll looking at titles. At this point, I’ve no idea what we will end up choosing.